I know it is a little late but school has been a little crazy and so I am just now getting around to posting this. In 2013, I set a goal of 50 books and I read a total of 58 books. All that for a total of 21,694 pages. When it came time to renew my challenge on Goodreads for 2014, I really wasn’t sure what to put. Here’s the thing…I am not a huge fan of the reading challenges. I am a lover of big books. I love to get lost in a book with tons of pages. I felt that while trying to reach my Goodreads challenge goal last year, I put off reading books that were lengthy or might have been difficult to read. I didn’t like that. I want to read whatever book catches my fancy. So, I decided to do a page count goal. I reached 21,694 pages last year so I figured I would try to beat that number in 2014. My goal is to read 25,000 pages in 2014. I think that this will be a goal that is attainable yet will challenge me in the year to come. What are your bookish goals for 2014? Do you like reading challenges? Did you meet any of your goals from last year? Let me know down below. I would love to hear from you! Thanks for stopping by and Happy Reading!! If you buy any books using this link, you can get the books you want and I will get a small commission. A truly fantastic time travel/ historical fiction novel. I read the next 5 in the series right after I finished this one. This book was the perfect winter read. I cannot believe I hadn’t read this book before this year. My sister had been bugging me to read it for a couple of years and I am so happy I did! I wrote a review on this book which you can check out. I basically loved every part of this book. This book was like a middle grade Hunger Games and as soon as I was done with it, I wanted to pick it up again. This was one of the first books I read in 2013 and it remained one of my favorites of the year. It was a fun read about a girl whisked away from Montana to take a grand tour of Europe. A fantastic book that made me want to see the world. This is the first in a sci-fi series that I had been wanting to begin for a couple of years. This was a really intriguing beginning to what I hope will be a great series. 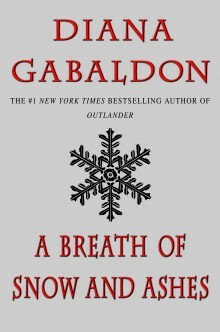 This is the sixth book in the Outlander series. I think that this was the best book since Outlander. It kept me on the edge of my seat and its size didn’t bother me at all as I sped through it. The Bronte sisters also made this list. 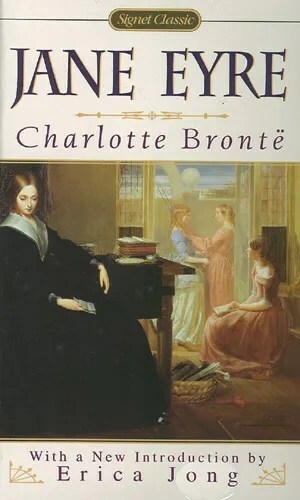 It was hard knowing which one I enjoyed more but I think that Jane Eyre was just a bit more engaging throughout the whole book. Both of these were great love stories with a hint of ghostly and gothic themes. Both were gorgeously written and left me with a lot of feels at the end of each. It was a great year of reading for me. I was able to read a lot and I got to read a lot of truly amazing books. I only hope that 2014 will be just as awesome. Get any of these books here and I will get a small commission.